Can shibas fly? As many of you know, I've been flying with my people since they got me in November 2009. To date I've logged 14 flights on Us Airways. A few months ago, Us Airways initiated a new pet policy. Instead of requiring my people to call ahead for an in-cabin pet reservation -- usually right after they book their flights -- Us Airways no longer issues ahead of time reservations for in-cabin pets. Instead, pet reservations are now made at the check-in counter on the day of your flight. This means we arrived to the very busy San Diego International airport on November 23 not knowing if there was enough space for me on the plane, or if the flight had already reached its quota of allowable in cabin pets (which I believe is 6). Luckily, we did not have any problems and my people paid the $200 for a round trip pet reservation for me and we were off like normal. Good thing, because I needed to get to my Grandparents' house for Thanksgiving! ﻿﻿﻿On the plane, the in-cabin rule is that I have to stay completely inside my carrier under the seat in front of my people. I swear, I wouldn't run the shiba 500 down the aisle if they let me out *wink wink* As you can see, the under seat space is small, and there isn't really that much room for pets so being small is key to a comfortable flight. For this flight, I flew in style in my new custom made Celltei bag in olive and camo mesh. It measures 11.5 inches high by 19 inches long by 11.5 inches wide (plus a hidden 5 inch zippered expander which you can see already expanded on the right hand side.) Once expanded, I get about 19 inches x 16.5 inches for spreading out. During the flight, my people keep me comfortable by slipping in ice cubes and some treats (but not too many). In flight, I'm quiet and usually just sleep for most of the flight. Tokyo waits for the bus after flying from San Diego to Philadelphia. Celltei is a pawsome company and their pet carriers are made in the USA. They are extremely knowledgeable about pet carriers and have made countless custom designs for clients over the years. My people sent lots of ideas to design my new bag and Angie worked with them to design the best bag just for me. Angie even sent me a standard bag to try to help my people decide what I needed. You can check that out by clicking here. Now that I weigh 17 lbs, my people had my comfort in mind in coming up with a design that would also continue to work in-cabin for me. Be sure to check out the Celltei website with the actual bag they made for me by clicking here. If you need a pet carrier for a pet of any size, I highly recommend you contact the nice people at Celltei and see what they can do for you. If there's a way, they will figure it out. 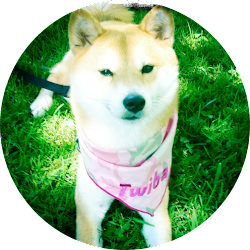 Don't forget there are always more pictures of me on Tokyo: My Shiba Inu Tumblr. That is very cool! I don't think flights will be in Misaki's future (she's, um, bigger than you). We saw your blog and thought we'd drop by for a visit. You look a lot like the foster we had Noam now known as Koji. His new people were thinking of taking him to Japan with them when they go. Glad you got to go with your peeps and stay with them. Drop by and visit us sometime if you'd like. We always like to meet new furiends. 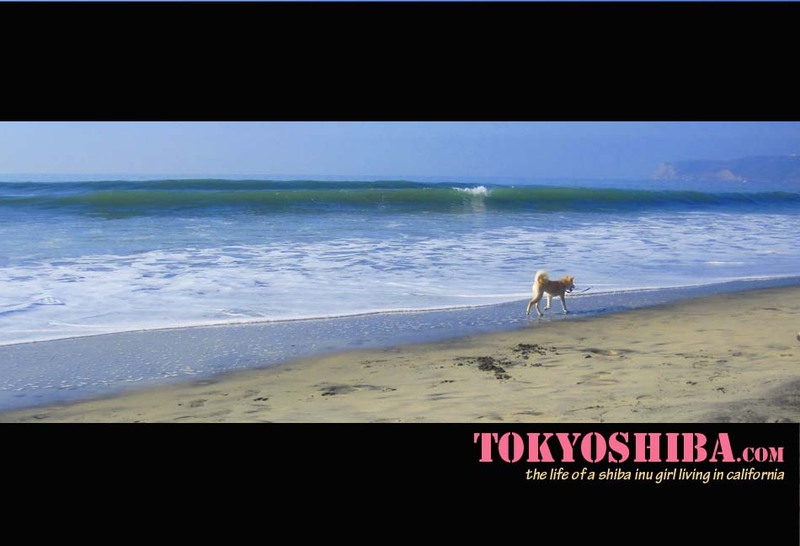 Thank you for the post on traveling with a Shiba. I really want to bring my dog Mac with me to Arizona and hike there but I am trying to work out the logistics. Unfortunately my boy is ~26 lbs so I think flying inside the cabin in out for him, lol. We saw your blog and was very surprised because we really didn't think it was possible :) We live in SF bay area and have been to national parks, las vegas, canada, you name it :) with my parents and we have been traveling by car all the time. My parents simply don't travel if I can't go... but we like to travel by car! I don't get carsick, btw. I am female black shiba around 14 lbs and 5 yrs old. I am around 13 inches standing up (paw to neck), so my head will stick out of the bag if I stand up in it. To close the bag, I probably need to lie down in the bag. Did you have any problems in the bag? I know the bag has a plenty of room but not tall enough, I guess. I am also a bit claustrophobic. Any particular airlines you liked the most? I would love to know the answers SBP above asked as well. My female red shiba, 1 year (almost) old and 16 lbs wants to go with me to Michigan from Florida for Christmas, but we are super worried about getting turned away at the airport. Any tips? I love your blog. My Shiba Jayden does as well!! Was she able to stand up and turn around? 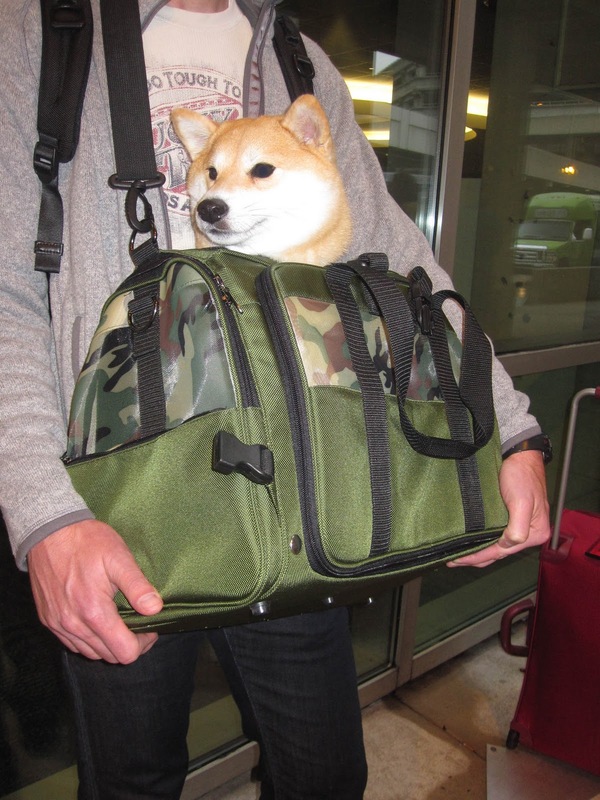 My shiba has long legs and so I'm trying to see if I could buy this same carrier for him. Was it a requirement for your shiba to stand up and turn around? I love your carrier! My shiba is 23 lbs do you think she will fit in your carrier?